Our goal is to offer to each musical group, from amateur to professional, the opportunity to tour and perform in Europe. If you are an amateur or semi professional band, choir or orchestra, we will suggest you to visit our tours site, where you can find all the information about what we can offer. Also you can visit our festivals, which we organize every year for choirs in various countries. We offer our artists a first-rate dedicated personal service, including general management, tour booking, marketing and concert promotion, event management, programming and consultation. Our aims is to promoting the intercultural contact and exchange between choirs, giving them the opportunity to share their love of music, culture and travel with choirs from Europe and from all over the world with our choral festivals. 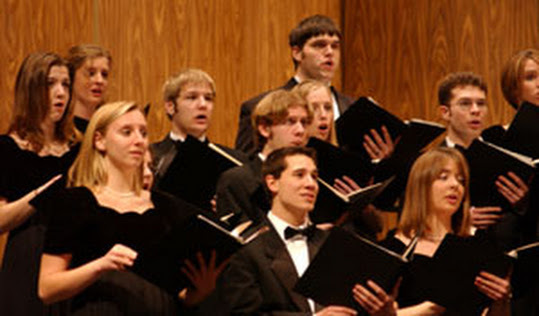 Therefore we set great value upon the participating choirs being able to present them selves during one or more concerts in front of an audience when attending our choral festivals. However, the cultural experience is also a matter of importance and cannot be missed. For our venues we choose attractive destinations and offer city tours, half or full day visits and excursions to sites of special interest during all events including local and qualified guides and even a full translation service. As a special service we offer choir directors and/or representatives of the choir the opportunity to participate in an orientation trip in advance of the festivals taking place in various cities to view the venue and to meet with the Festival organizers. Our experienced staff will also be delighted to plan and organize a tailor-made trip to any other destination of your choice according to your individual requests. Please feel free to contact us, we will gladly assist you.